Please leave your name(s) and date in this box exactly as you would like them to appear on your final piece. Are you looking for a rustic wooden welcome sign that will add a beautiful personalized touch to your fall wedding or event? 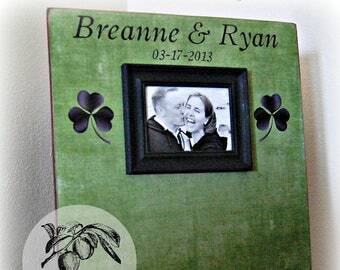 Our Wedding Welcome Sign or Picture Frame is a great choice! 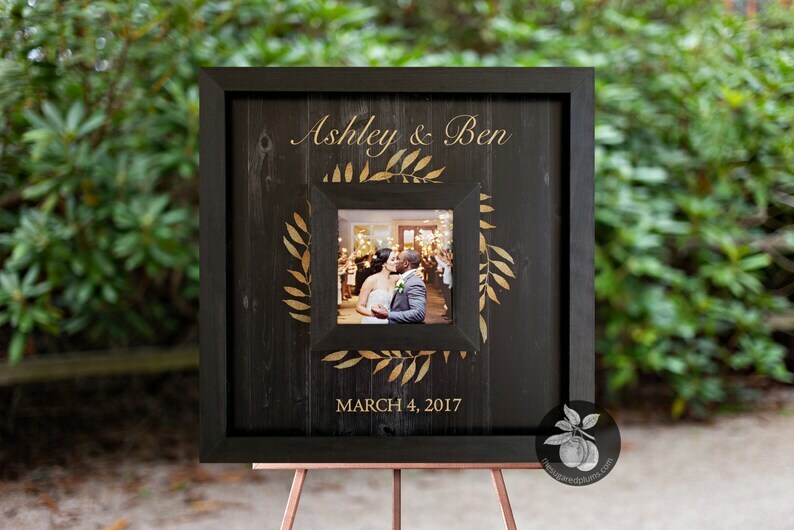 You can use the sign to welcome your guests to your wedding with your engagement picture and then use it later with a picture from your wedding to hang in your home as a keepsake from your special day. Two uses in one! This listing comes with 1 sign/picture frame in the measurement of your choice*. Easel is for display purposes only and does not come with the final piece. I'm very happy with the whole experience. Fast shipping and great packaging. The new designs are so wonderful. So rich in color and great construction. Thank you for another beautiful frame! !